Taxes not included - occupancy tax 1.35 EUR per person per night. Odlican smestaj, niske cene i super osoblje! Uvek cu doci kod vas! 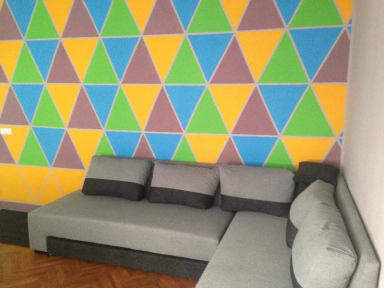 Hvala punoooo! Great accomodation, low prices, and great stuff! I recommend for everyone! There were too few power sockets, only two in the entire 8-bed dorm. The rest was OK. The hostel itself was great. In terms of location, staff and atmosphere a solid 10. The only complaint is the bathrooms, they were constantly wet and smelly despite the cleaning lady working around the clock. Overall a pleasant experience. Special thanks to Vlado the receptionist who made our stay even better. Don't stay there! It's a not well maintained hostel. The bathrooms are filthy and the public kitchen constantly dirty. The people staying there are shady and seem to be mostly long-term inhabitants, ranging to from refugees to old grannies. Also, despite notifying before that I have to check out early in the morning I had to call and wake the guy from the reception the day I left. I can't understand how it got such good reviews before. Lockers weren’t working, creepy atmosphere to the place. Seemed to be more of a hostel for local men rather than international travellers. The staff were perfectly friendly, however they are, unfortunately, presiding over a shambles of a hostel. We checked out after night one of our two night stay, and stayed in a much nicer hostel. 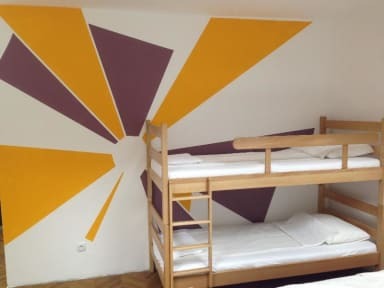 The fact that this hostel has 8.4/10 is either testament to the goodwill of HostelWorld users, or a serious computer malfunction that needs investigating.